So tonight I’m having a pamper night, I’ve finally finished University for the spring term and thought I’d give myself a little pick-me-up before I face the mountain of essays assigned for this Easter holiday! 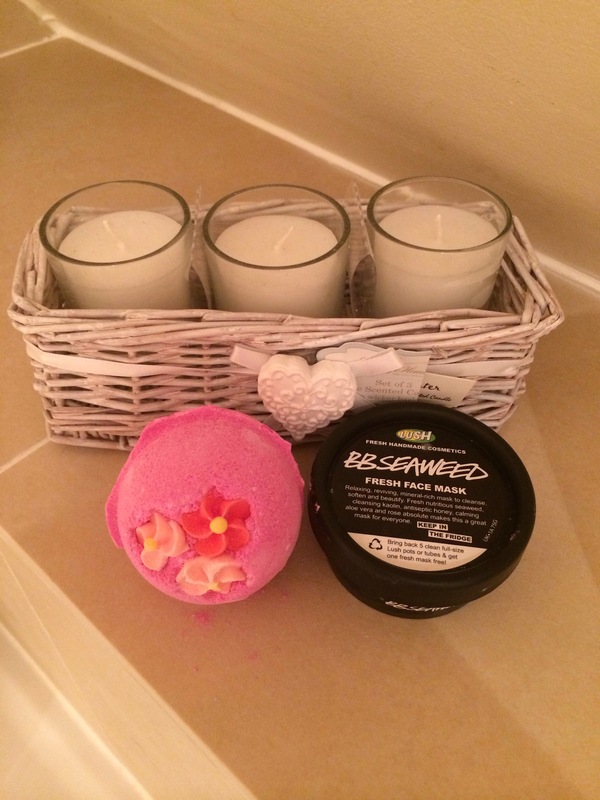 So what better way to have a pamper evening than buying a couple of Lush products! So I went ahead and bought this beautiful bath ballistic bath bomb in ‘Think Pink’ and BB Seaweed Facemask. The bath bomb is amazing! It’s smells incredible!!! 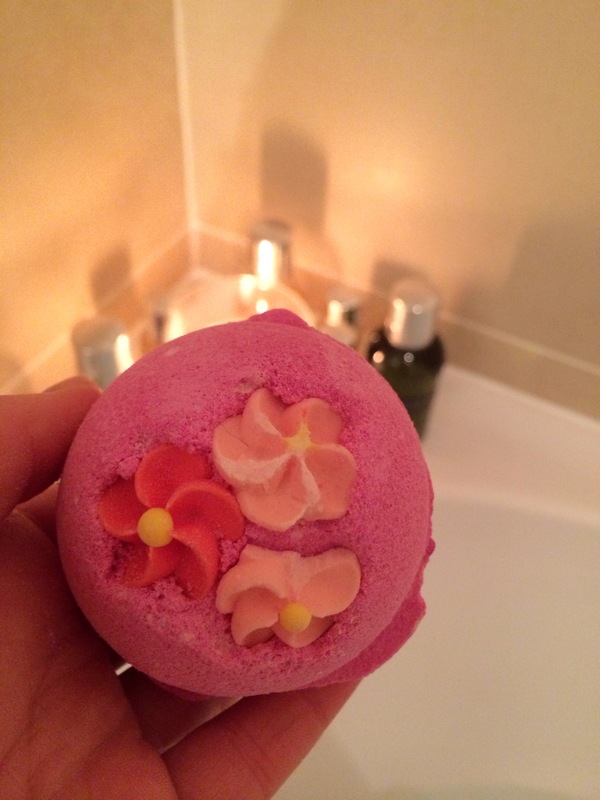 Quite sweet floral sent and fizzes like crazy when you put it in the bath, whilst it does so little confetti hearts pop out and the water turns a beautiful pink colour! the Facemask smells just as amazing! Quite exfoliating which is lovely and really creamy! The only downside is that there’s clumps of seaweed in the mask, which is quite awkward to apply. But nonetheless the mask is wonderful! Since you have to store it in the fridge, the mask is quite cold when applying which is really nice and refreshing! 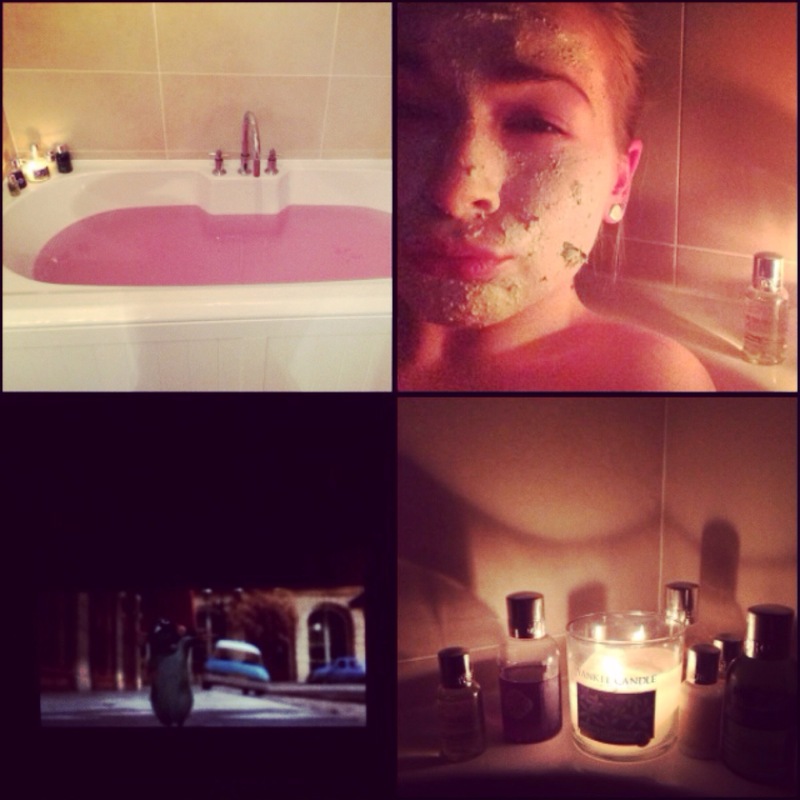 So I applied my mask, lit a few Yankee Candles and got into my fab pink bath! Lush indeed!! Whilst I was chilling, I put Ratatouille on, which was just the icing on the cake!! I think I was in there was about an hour and came out like a human prune! But a damn good selling human prune!! I do highly recommend both lush products, you can never really go wrong with any Lush products! I could literally buy the whole shop!! They’re both friendly on the skin, the face mask left my skin feeling super soft! After finally getting out of the bath, I cleansed my face with Simple’s Pore Minimising Toning Cleanser and moisturised with Neutrogena’s Visibly Clear Pink Grapefruit oil-free moisturiser. This moisturiser is amazing in my opinion because it’s really moisturising whist maintaining an oil balance. I find it really hard to choice facial moisturisers because the ones for ‘teenage skin’ are never ever moisturising enough for my dry skin, whist the nice and fully moisturising ones that are not made to reduce breakouts, cause blemishes! So, if you’re in a similar predicament, I highly recommend it!! 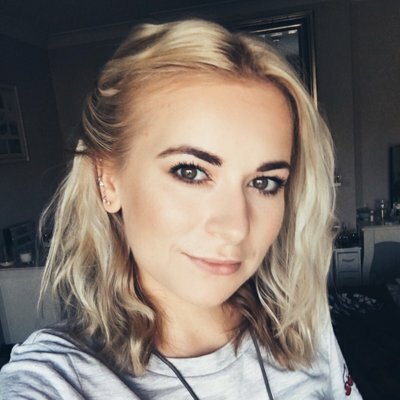 I then moisturised my whole body with Dove’s Intense Moisturising Lotion for Extra Dry Skin, which I’ve mentioned in my July Favourites last year, and it’s still amazing! Next, to complete the pamper eve, it was time to paint the nails! I opted for Nails Inc ‘The Boltons’ So so so close to my last name! 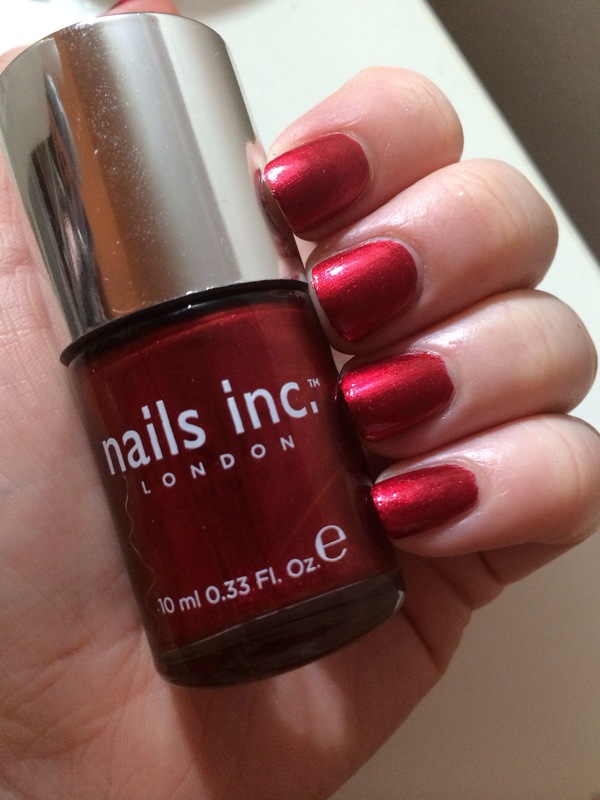 I really love this colour, it’s like a rich velvet red! Additionally you should always let yourself have a little self indulgence and have a lovely pamper evening! I hope you are all having an amazing weekend! Happy pampering! Next > A Rather Large Spring Makeup Haul!